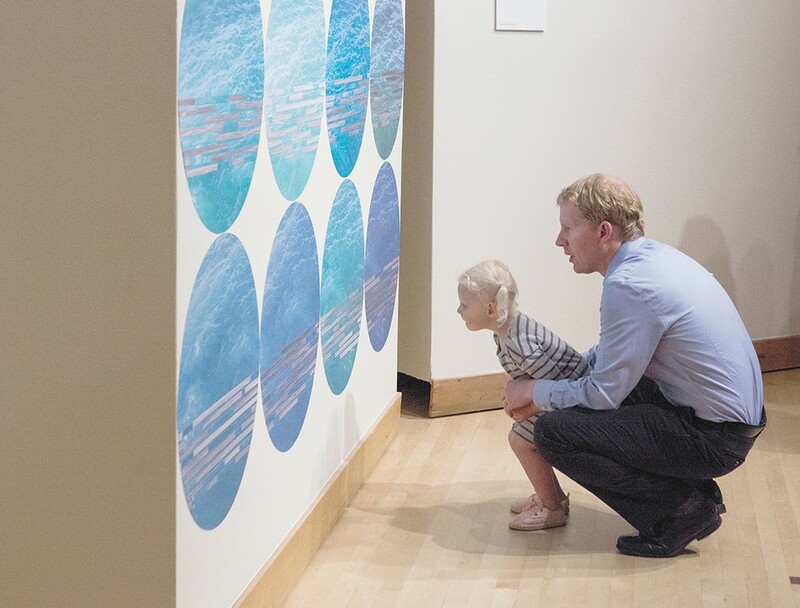 Every third year since 2001, Gonzaga University's Jundt Art Museum has invited several local artists to decorate a selection of its walls by drawing directly on them. After a matter of weeks, the walls are painted over, the artists' works never to be seen again. The gallery calls this exhibition Drawn to the Wall, and its sixth incarnation is open for public viewing now through mid-August. What, viewers may ask, makes the exhibit special enough to warrant its return to Jundt every three years? 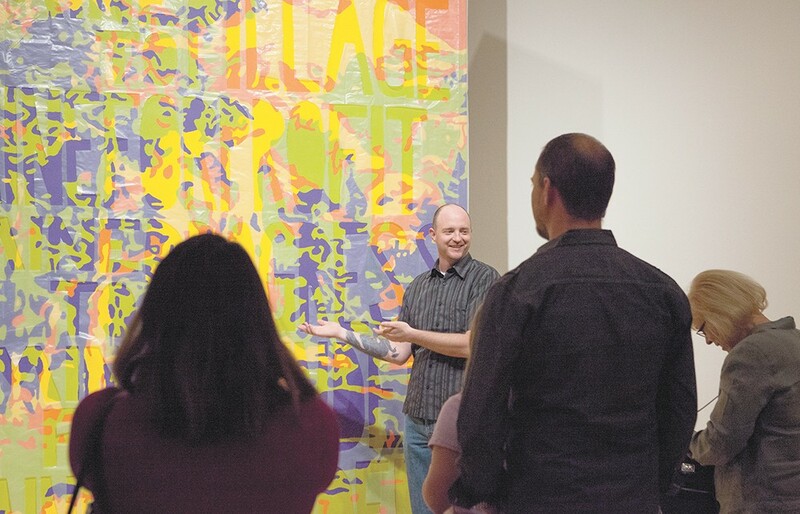 "The artists change," says Paul Manoguerra, the museum's director and curator. "The themes, ideas and issues that the artists elect to store on their walls are different every time." This year, Drawn to the Wall VI features works from five regional artists hailing from eclectic disciplines. Among them are: Tresia Oosting, a sculptor and dollmaker who uses discarded objects to craft her pieces; Lisa Nappa, an EWU ceramics professor whose art carries ambitious messages centering around water; Garric Simonsen, an artist and musician who frequently implements wood etchings; Lance Sinnema, a ceramics artist who dabbles in printmaking and innovative, craft-oriented works; and Travis Masingale, who has worked in a myriad of media, from technology to performance. The divergent disciplines of these participating artists may seem confusing at first glance, given the exhibition's focus on drawing. "Drawing is an integral part of what artists do," explains Karen Kaiser, the exhibit's curator who selected the five featured artists. "An artist whose finished work might be a doll or might be a sculpture, it doesn't mean that their work doesn't involve drawing." Each of these artists is granted one side of an 8-by-11-foot wall on which they are assigned to create a drawing, within a two-week window, in what the gallery calls a "communal studio" environment. "The dynamic of having them work together informs the work, it influences the work," Kaiser says. "Even if they come in with a really well-laid plan, it changes every time." Masingale, one of the featured artists, praises this approach. "We're all kinda at first shy, and by the end we're very open and talking and sharing our stories about our work," he says. Drawn to the Wall features the work of five Inland Northwest artists. 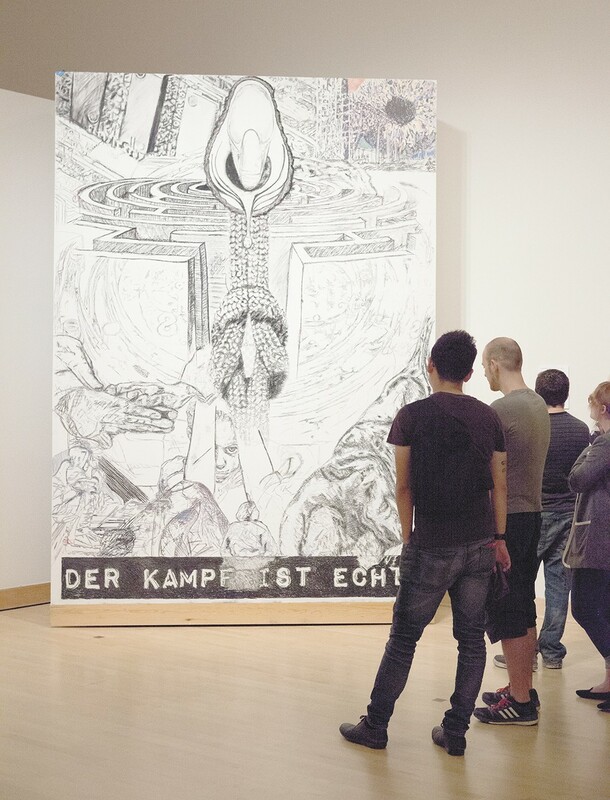 The exhibition itself draws inspiration from American artist Jim Dine, who in 1995 adorned a German gallery with a series of charcoal drawings. After the exhibition's six weeks had run its course, the drawings were washed off and the walls were repainted. The intentional erasure of art calls to mind the Buddhist tradition of creating beautiful, intricate sand mandalas which are wiped away soon after completion. This parallel is strengthened by the modification that the Jundt Gallery made to Dine's original project: after the exhibition has reached its end on Aug. 20, the artists themselves will paint over their respective drawings. "The sand painting idea and mandalas, I think it comes from the same place," Kaiser says. She believes that the temporary nature of the artists' works makes them more comfortable, facilitating greater artistic freedom than otherwise might be present. "There's not that precious thing ... this finished product that has to look a certain way," she says. After the exhibit closes, the artists themselves will paint over their pieces. It might seem that such a process could be difficult for the artists to swallow. But Sinnema, another of the featured artists, believes that the experience is worthwhile, even positive. "I've thrown a lot of things away when moving from house to house," he says. "There's always a process that's sort of editing and putting things in the past." Both Masingale and Kaiser agree. "My work is always creation, destruction, creation, destruction — through remixing, through letting go of the preciousness," Masingale says. "It's right down the alley of the artist."